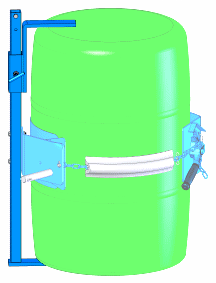 MORCINCHTM Options allow you to handle a 55-gallon plastic drum, a steel drum, a fiber drum, or even a smaller drum with one Morse drum handler. 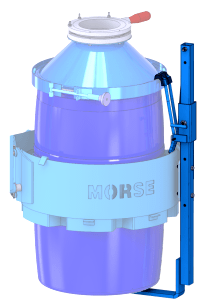 Many Morse drum handlers accept MORCINCHTM Options to handle your 55-gallon plastic drum. 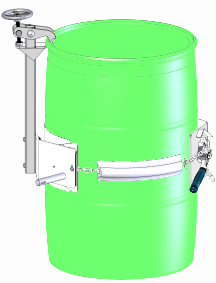 A well designed plastic drum handler must take into consideration the fact that plastic drums are flexible and lack the supporting ribs that are on most steel drums. 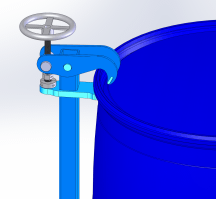 The MORCINCHTM Options below are designed to prevent a plastic drum from slipping through the drum holder. 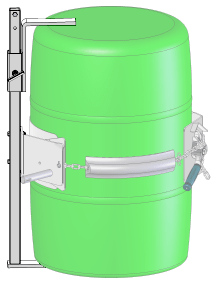 To ensure safety, choose the correct 55-gallon plastic drum holder for your particular drum. 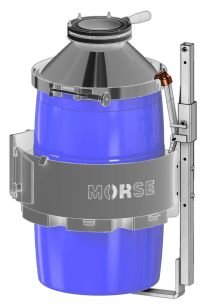 Install on your Morse drum handler. MORCINCH Options are NOT drum handlers by themselves. 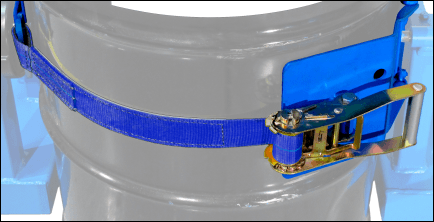 with Spark Resistant Parts The Top Rim Clamp grips the upper rim of your 55-gallon (210 liter) rimmed plastic drum to prevent it from slipping through the drum holder. 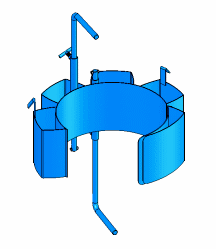 The Top Rim Clamp can also be used with a 55-gallon rimmed fiber or steel drum. It bolts onto the MORCINCHTM Drum Holder. Clamp it to the top rim of your drum, then secure the cinch chain around the drum as usual. Kit # 4560-P Rim Clamp Assembly. Kit # 4560M-P Spark Resistant Rim Clamp Assembly. Kit # 4560SS-P Stainless Steel Rim Clamp Assembly. For your plastic drum that lacks a top rim, the Bracket Assembly is necessary. Also recommended to more securely hold a fiber drum. It provides a brace at top and bottom of your drum to prevent it from slipping in the holder. Adjust for a drum from 31" to 39" (79 to 99 cm) tall. Bracket Assemblies for use with Drum Cone on drum. 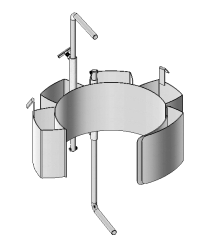 Adjust for a drum from 30" to 38" (76.2 to 96.5 cm) tall. Assembly for use with a Drum Cone. 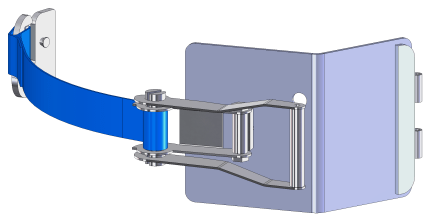 hook to engage the Cone Clamp Collar. with Spark Resistant Parts For a smaller diameter drum, Diameter Adaptors fit inside the drum holder. They install easily without tools and are quickly removed. The Web Strap has a broad polyester belt that conforms to your drum, and is gentle to the drum finish. To secure the drum, operate ratchet quickly and simply with the large handle for ample leverage. 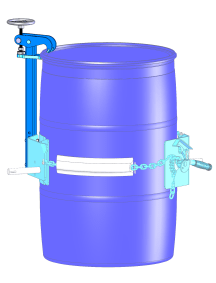 MORCINCHTM Options to handle your plastic drum, a fiber drum, or a smaller drum. Plastic drum handlers.